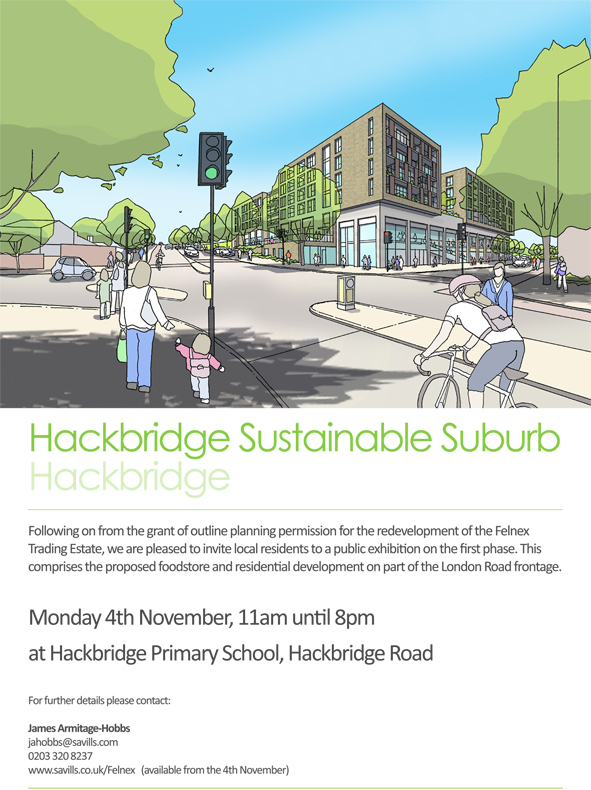 Savills are doing a consultation event on Monday 4 November from 11am to 8pm at Hackbridge Primary School to discuss the proposals for the Felnex Estate. You can view the boards from the Felnex exhibition here. By going to Savills’ website, you will also be able to leave valuable feedback. Previous What a scorcher of a day!